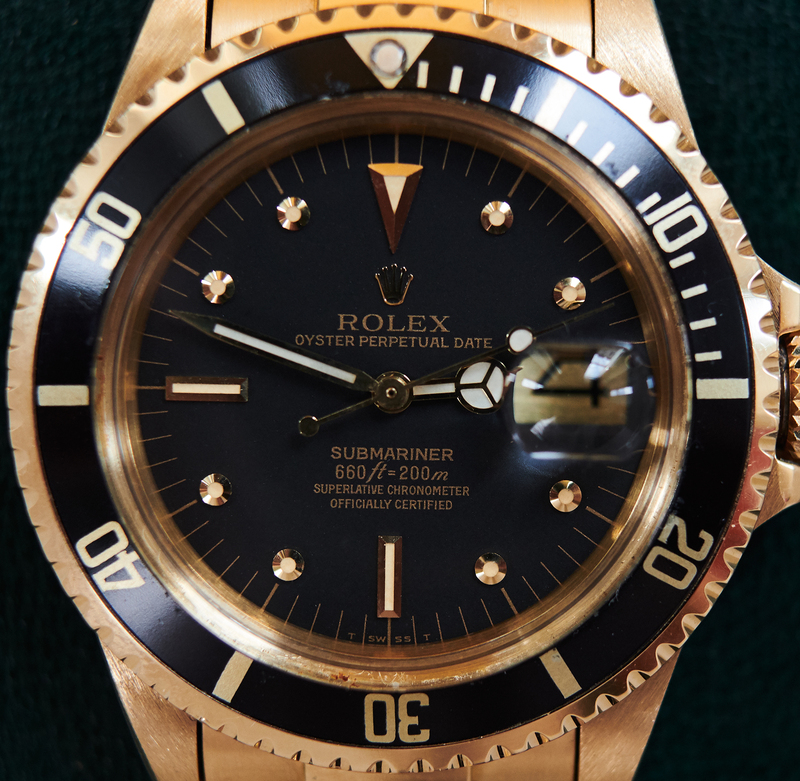 This is an extraordinary beautiful example of the very first 18k yellowgolden Submariner ever been produced. 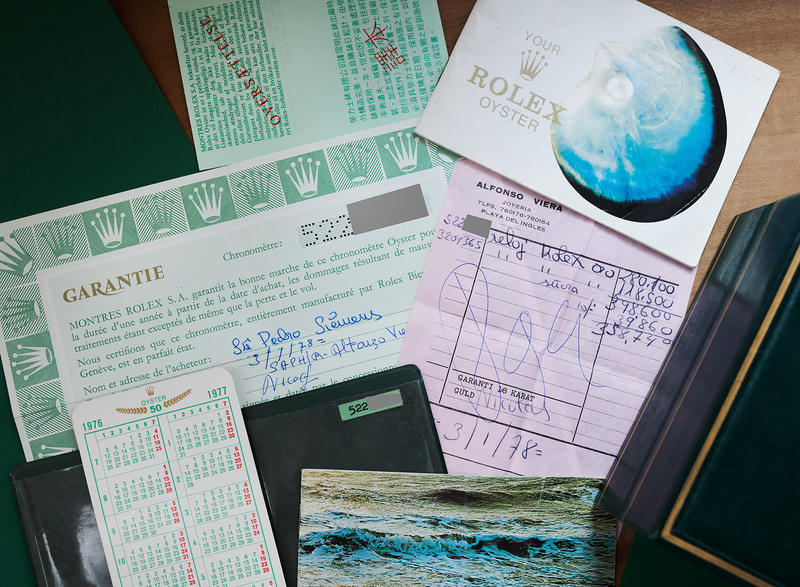 Our example from 1978 comes as a comprehensive fullset, that even contains the original buyers invoice from 1978, besides box, punshed papers and other rare stuff that came with at the original purchase. 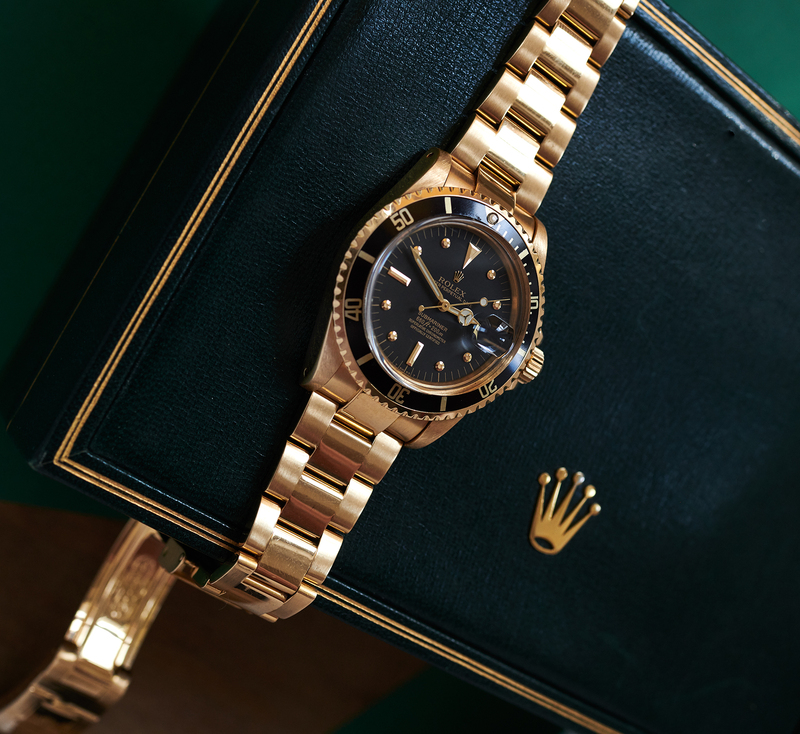 The 18 karat case is in excellent an superfat condition with sharp lugs and no scratches that would have to be mentioned. 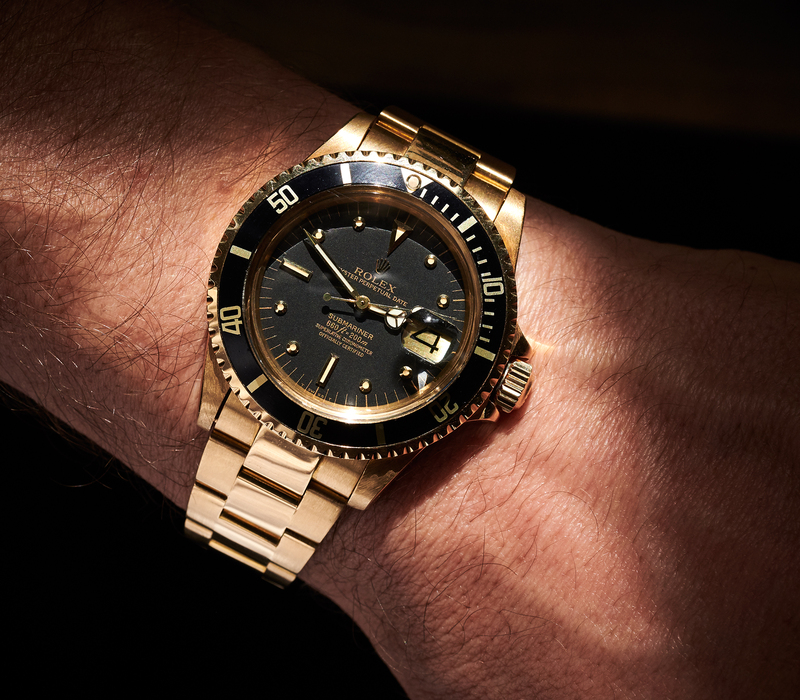 it´s original tritium dial is 100% flawless just like the golden tritium-handset is as well. 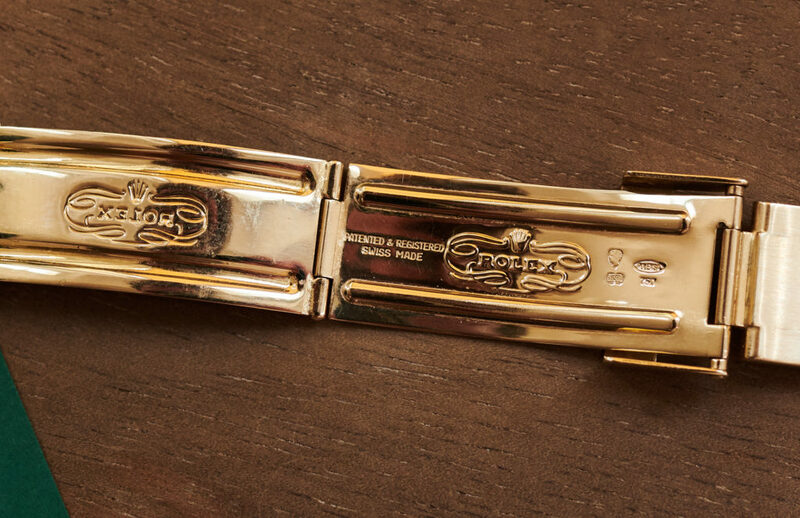 The 18k bracelet has almost no stretch and is in absolute topcondition. 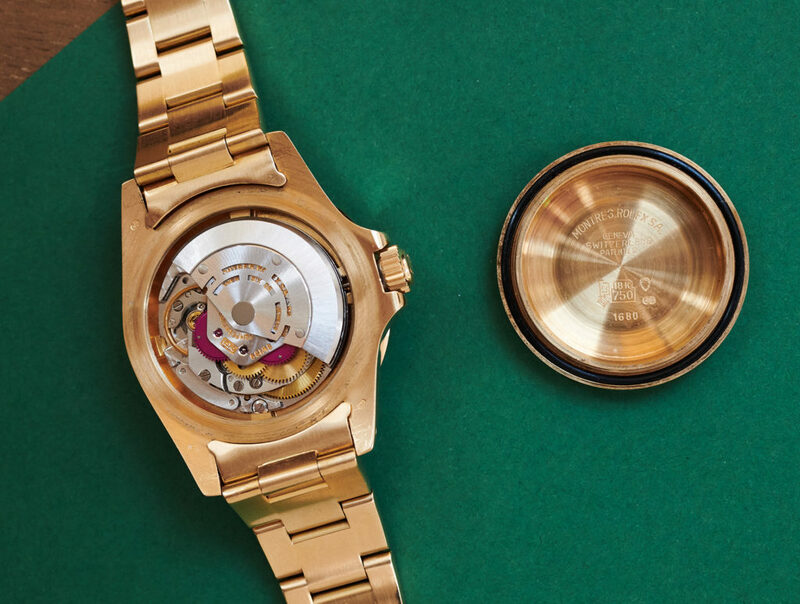 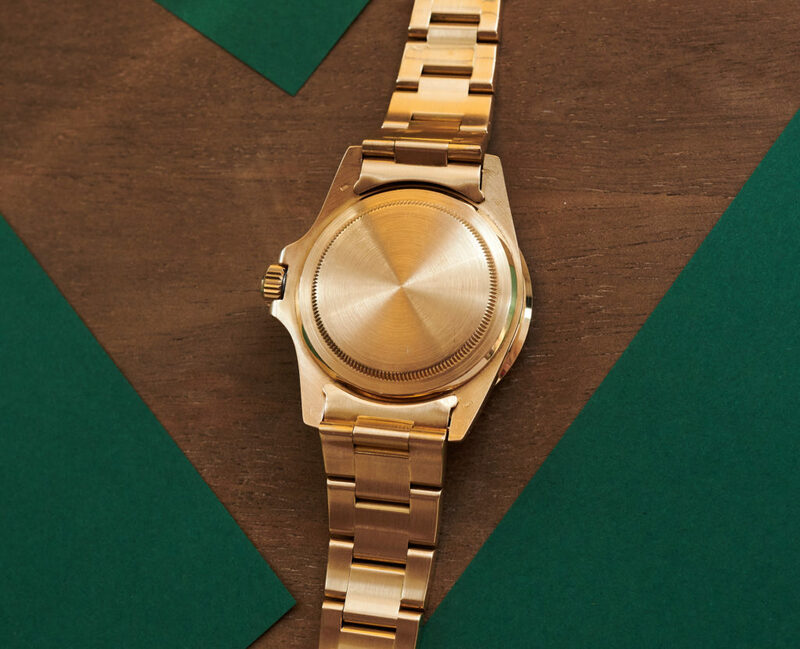 The fatfont bezel insert contains the original tritiumlumedot. 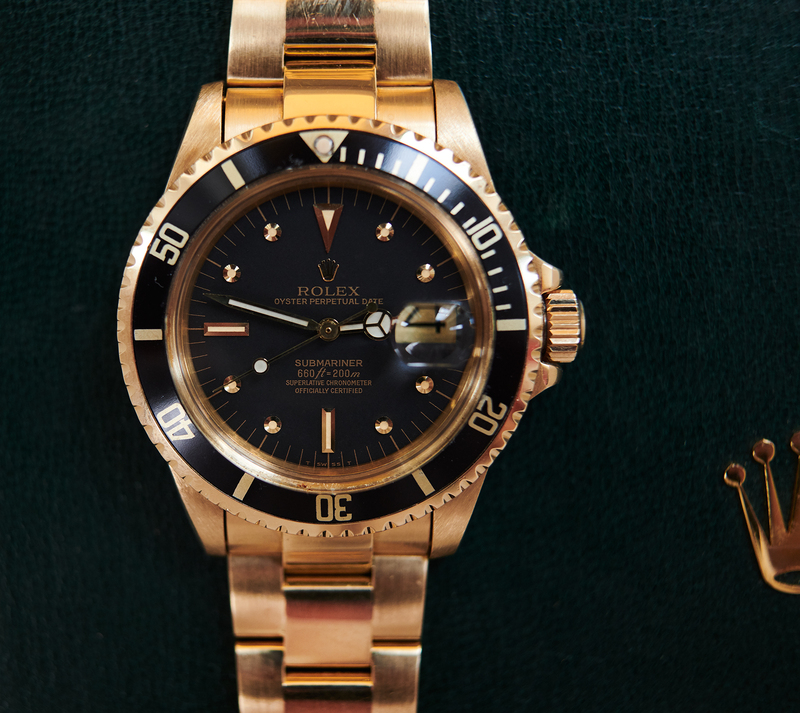 The 1575 Rolex movement has received a revision by the former owner a few years ago and is running absolutely exact. 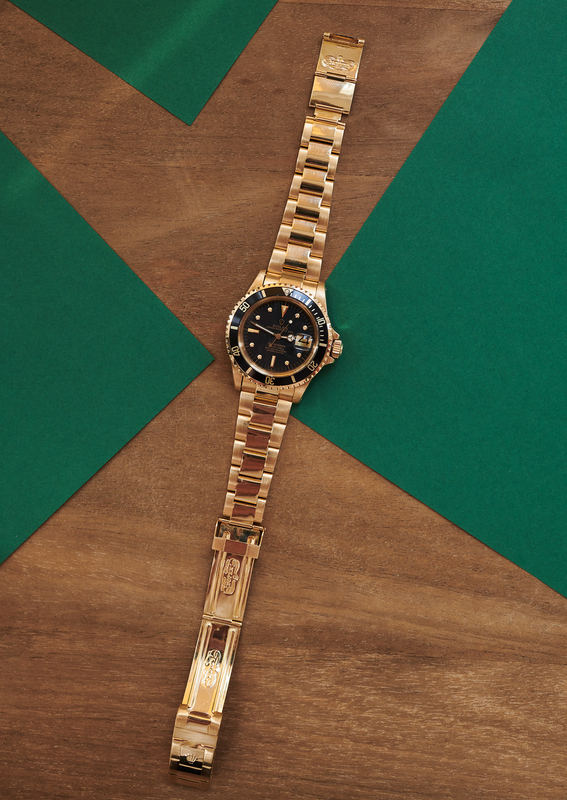 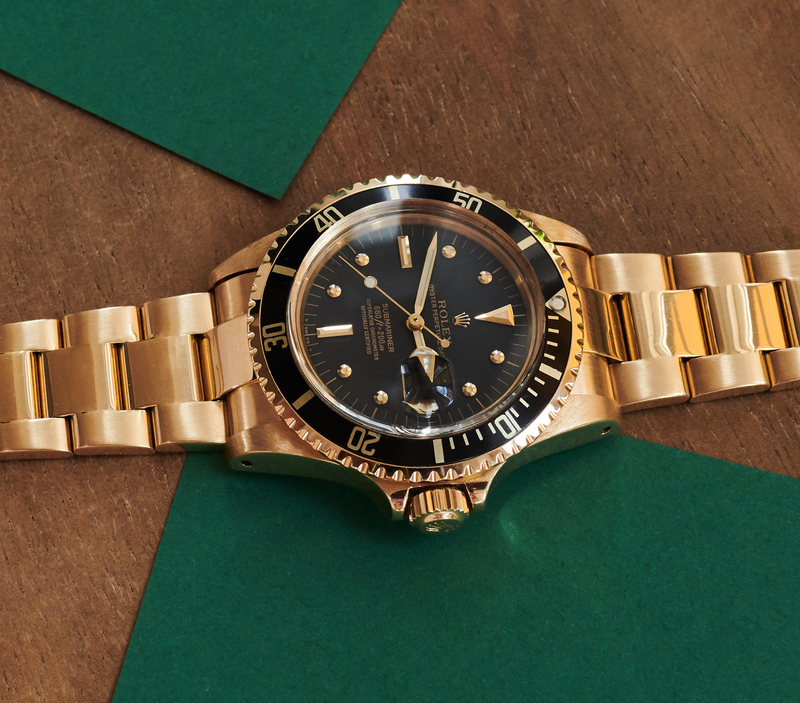 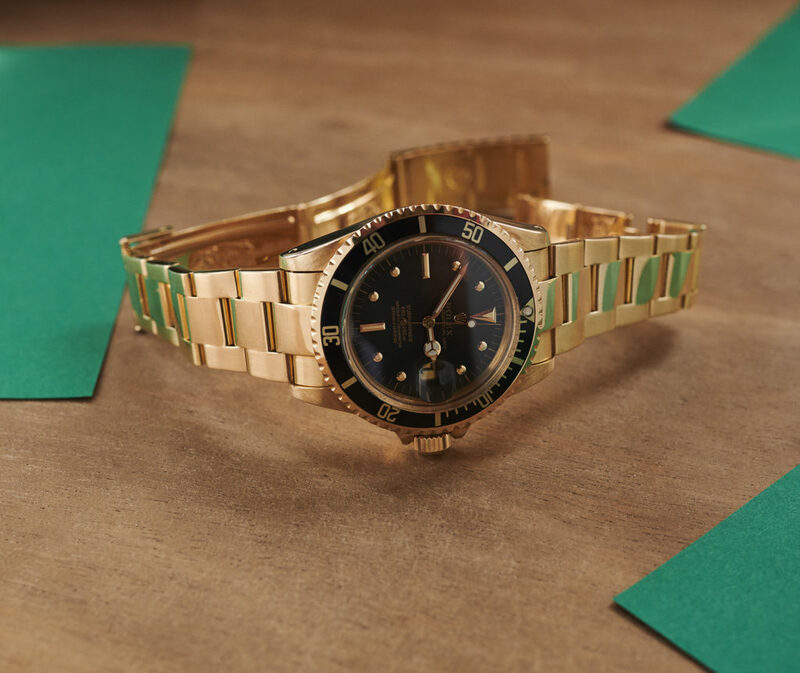 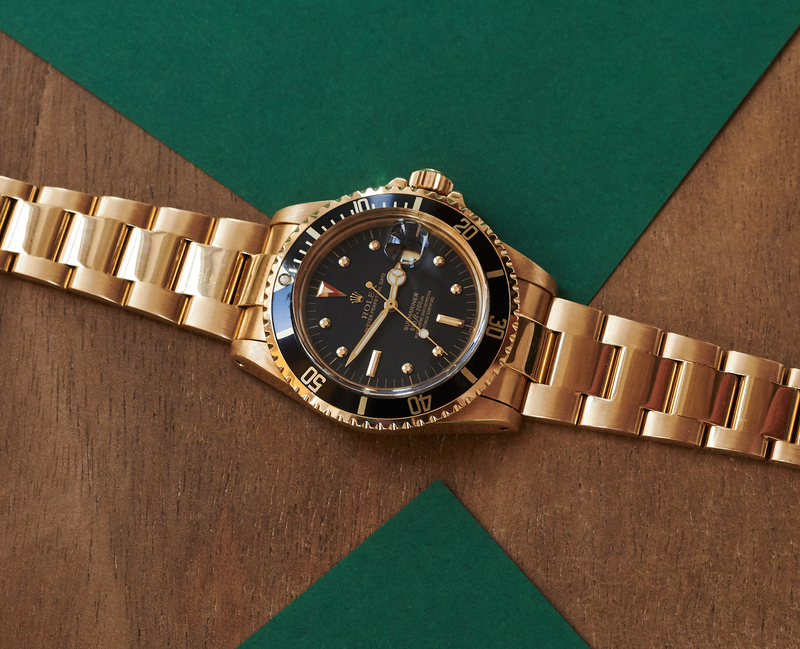 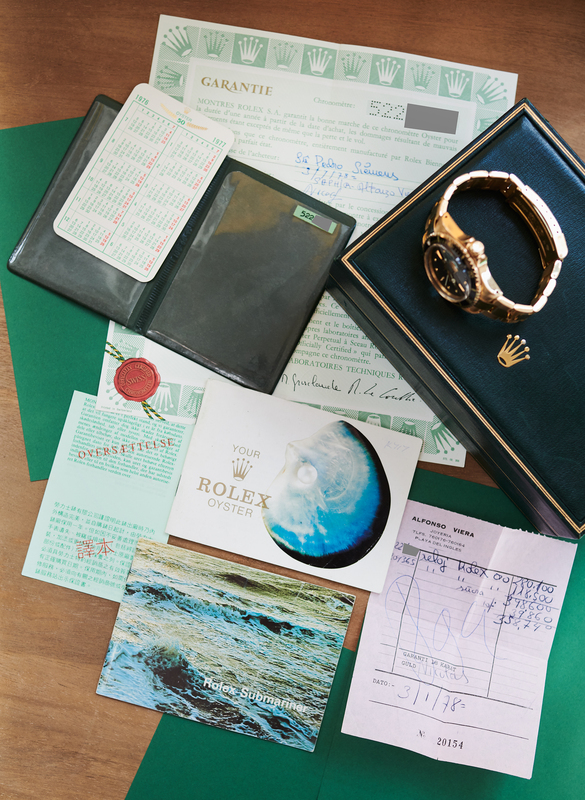 A rare collectorsset of an iconic Rolex Submariner.